Pacific Sunwear of California, Inc. is a chain of specialty retail stores with numerous locations across the United States and Puerto Rico. The company sells casual clothing, accessories, and footwear meant for young people. You can find a link for a PacSun application by going through the application links below. The publicly owned company is traded as PSUN on the NASDAQ, and it’s headquartered in Anaheim, California. The company currently owns more than 600 stores in all 50 states and Puerto Rico, and employs more than 10,000 people. Jack Hopkins and Tom Moore founded the company in 1980. The first location was at the Meadows Mall in Las Vegas, Nevada. The business has a theme of bringing the California lifestyle to those who can’t be at the beach. It features surf and swimwear, and carries mostly casual and athletic wear. Some brands available include Hurley, Nike, Billabong, Vans, Diamond Supply Company, Bullhead Denim Company, Brandy Melville, Beauty & the Beach, and many more. Sisters Kylie and Kendall Jenner have been designing clothing lines for the company since 2012. The company started its Dress Irresponsibly national advertising campaign in 2011. From that time, the business has expanded its clothing from being primarily surf wear to include fresh, new brands of casual wear, especially for women. The retailer wants to maintain its established lines while expanding its new brands. You can apply for PacSun jobs at their website. The specialty retailer offers many corporate level career opportunities on its website. Corporate departments include Accounting/Finance/Auditing, Buying/Merchandising, Design, Human Resources, IT, Inventory Management, Loss Prevention/Security, Marketing, and Product Development. These jobs are located in Anaheim, California, and Olathe, Kansas. You can apply online or send a resume for corporate job opportunities. The business accepts applications through its online application process for the in-store positions of Assistant Store Manager, Store Manager, District Manager and Regional Director. If you are interested in applying for a Sales Associate position, you can use the Store Locator feature on the web page and apply in person at your local store. You must be 16 to work at PacSun. All of the positions at the retailer require some experience and advanced education, except for the Sales Associate position. Be sure to read the detailed job description of any position that interests you at their website. All employees of the business enjoy benefits such as employee discounts and a casual dress code. Management and corporate level employees receive health insurance with vision and dental, 401(k), and life insurance. Corporate employees enjoy an onsite fitness facility, a café, a wellness room, and more. Store hours vary by location. Monday through Saturday 10:00 AM to 9:00 PM, and Sunday 12:00 PM to 6:00 PM are typical store hours. Sales Associate – A Sales Associate’s responsibilities are to provide excellent customer service, promote sales, run the cash register, and maintain the appearance of the store by straightening products and cleaning. No prior work experience is necessary for this position. Pay for this position starts at minimum wage, roughly $7.50 per hour. Senior Sales Associate – The company recognizes employees for service and achievement. Sales Associates who’ve gained experience receive the title of Senior Sales Associate, and a raise along with it. A Senior Sales Associate usually makes about $.50 per hour more than a Sales Associate at first. You cannot get a PacSun application for an entry-level position at the website. Assistant Store Manager – The Assistant Store Manager does paperwork, bank deposits, emails, and payroll, in addition to customer service and being a role model for employees. The Assistant Store Manager is responsible for getting new products out on the floor, sorted, and priced. Pay for this position starts around $9.00 per hour. Store Manager – As a Store Manager, you would motivate and train your staff to help achieve sales goals set by corporate policy. You would report to the district manager. Ideal candidates for this position have at least two years of retail experience in a clothing store and a bachelor’s degree. You could expect a starting salary around $35,000 per year. Can you name some of the brands we sell? This retailer sells more than 200 brands of clothing, both long established and brand new. Being familiar with the products the company sells is a good way to show your interviewer that you would be a good fit for the business. What is your availability? If you are applying to be a Sales Associate and you are still in high school, you will need to discuss your availability around your school schedule. If you are applying for any position and you have another obligation you’ll want to talk about that. Be sure to emphasize all of the times that you are available. Can you define team work for me? Careers with this company rely heavily on team work among the employees. Your interviewer would prefer hiring job candidates who already have an understanding of cooperation and can work well with others. Give an example or two of situations in which people working together creates a better outcome. Why would you like to work for us? This question is your opportunity to talk about everything you like about the store, the products, and the brands. You could talk about Your Golden State of Mind, and how much you like the laid back attitude of the California based company. Why do you think you could do a good job working here? This is your chance to talk about any skills you have, like being good with details or being creative with displays. Go ahead and talk yourself up. Remember that a friendly attitude and a spirit of team work is what they are looking for. This company allows its employees to wear casual clothing to work. You will not need to dress up for your interview, but still be professional. Avoid clothing that is revealing, dirty, or torn. You can apply for PacSun jobs online, but you will not be able to download application form or get a printable application form. While this company is more relaxed than others in the industry, you will still want to be respectful at your interview. Be on time and have everything you need with you when you arrive. Although there is no printable application for PacSun, you can use the free application process to apply for jobs at PacSun. If you would like to know how to apply for PacSun online, go to the website through the application links below. 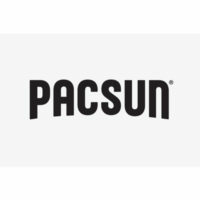 You will be able to browse any PacSun careers that are currently available and use the direct application process to apply for any you like. You will have to register with the website before you can fill out an application form.